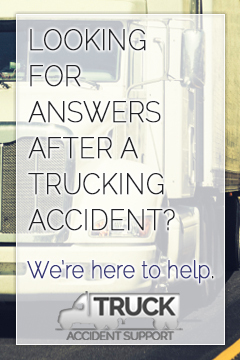 Defective parts or malfunctions can cause devastating tractor trailer accidents. The defective parts that cause the most accidents are braking systems and tires. Failure to break in time can cause a truck to crush smaller vehicles and other objects with thousands of pounds of force, causing fatalities and irreparable damage. Attempts to stop head-on collisions can cause even more destruction if the truck jackknifes or rolls over. In most cases, defective parts and malfunctions are the result of improper care on the part of the company that owns the tractor trailer. Companies operate on a budget, and sometimes maintenance of vehicles is not seen as a priority. If a malfunctioning tractor trailer causes an accident due to improper maintenance of parts, the company may be liable for any damages that are a result of the collision. Miles and years of wear and tear can slow the reaction time of a tractor trailer’s brakes. If a truck driver needs to stop suddenly, malfunctioning or defective brakes can cause massive damage. Tractor trailers and other large trucks are often equipped with air brakes. While this type of braking system can increase efficiency and stopping power, more maintenance is required than with brakes that use hydraulic fluid. All gauges and pressure supply systems must be adequately functioning in order for the tractor trailer to stop properly. Tractor trailer tires must be changed often to maintain sufficient traction and to prevent from shredding or blow outs. Shredding tires can cause accidents when other vehicles hit the dangerous debris or swerve to avoid it. Both blow outs and shredding tires can cause a tractor trailer to jackknife or rollover if enough weight is supported on that particular tire. In some cases, defective parts and malfunctions are the fault of the manufacturer. Recalls are not uncommon, and defective parts that end up in use can cause accidents before the defect is detected. Manufacturers may be responsible for all costs associated with a tractor trailer accident if inherently defective parts are the cause of a tractor trailer accident. 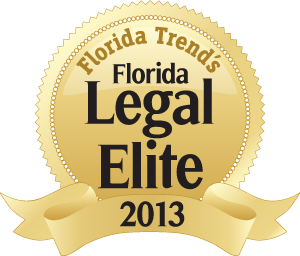 After a tractor trailer accident, an attorney should be contacted as soon as possible. An attorney can help victims determine who is at fault for a tractor trailer accident caused by defective parts or malfunctions. 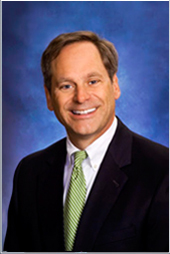 Attorneys will hold companies accountable for maintenance and equipment standards. They will also recover lost wages and the compensation necessary to assist people or families in need. “Truck, Tractor, and Trailer Quick Reference Guide.” Vehicle Valuation Services. Vehicle Valuation Services, Inc, n.d. Web. 24 Oct 2013. <http://www.vvsi.com/training/TrainingGuide.pdf>.